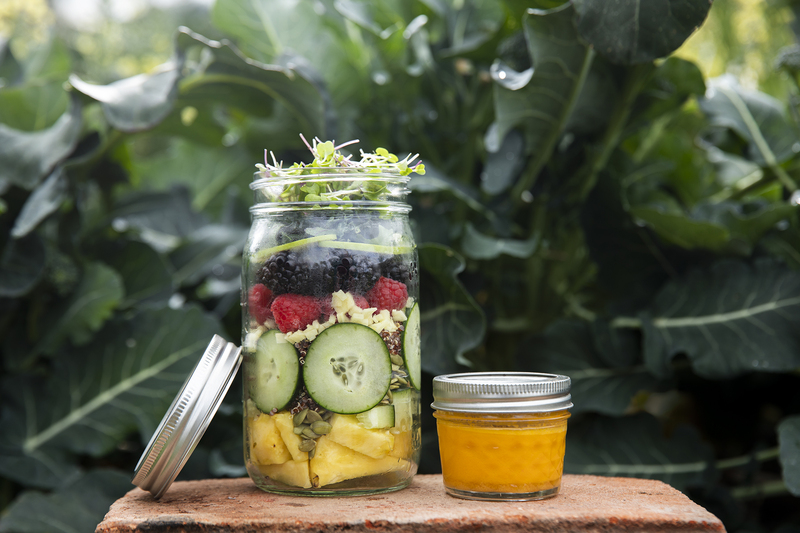 These easy to prepare Salad-In-A-Jar recipes from Executive Chef Denise Roa are a visual feast and can be created in advance. Start by adding four ounces of dressing to the bottom of a 32 ounce mason jar. Or, keep the dressing in a separate four ounce jar to be poured on top if you think you’ll make a collection of salads for the week in advance. Now, begin layering your crunchy feast in a jar. Make a bed of hard vegetables such as chickpeas, broccoli, and carrots on the bottom. Next, blanket them with grains like quinoa. 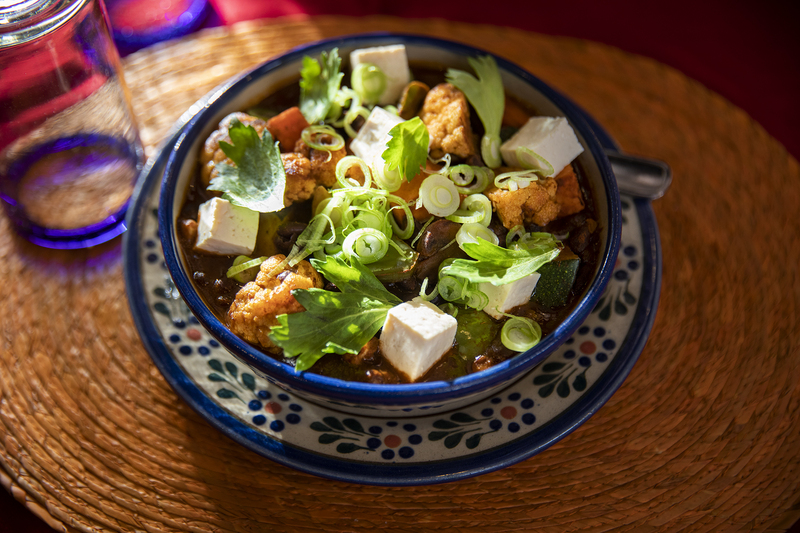 Add soft vegetables – beans or corn work well – and then add protein like nuts or a hard-boiled egg. Tuck it all in with organic leafy greens such as spinach and kale for a lunchtime meal that’s ready to travel and easy to store. By layering the ingredients in this way, you’ll preserve the crispness of your greens and keep your Salad-In-A-Jar fresh. Using hearty vegetables and greens, you can typically keep the salads in a refrigerator for three to five days. 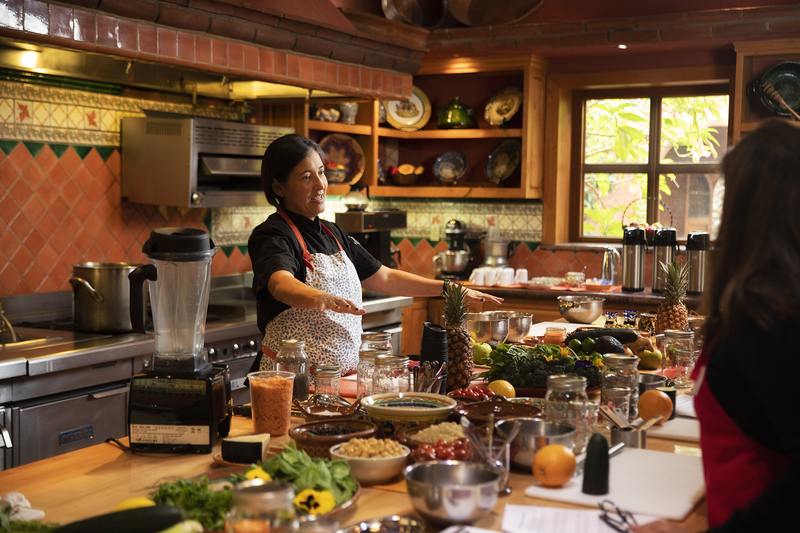 Here are two recipes with dressings that Chef Denise teaches at La Cocina Que Canta. 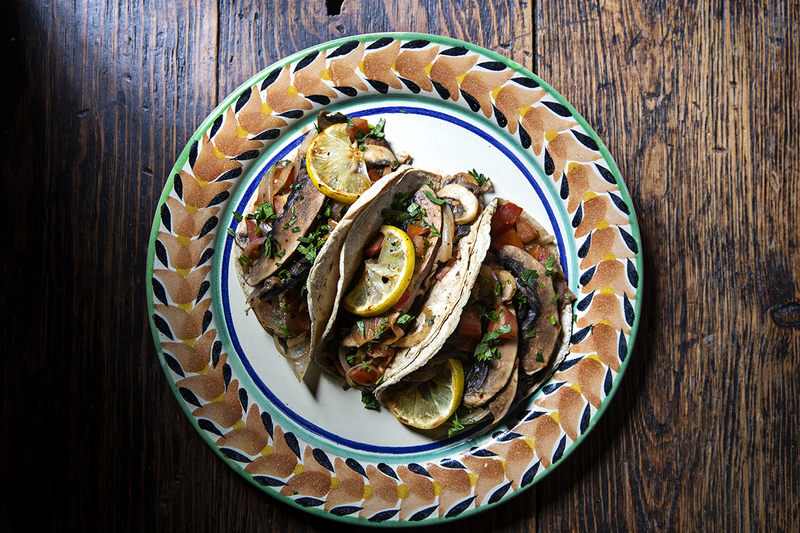 Makes about 16 ounces or four servings. Place all ingredients in a blender. Turn the blender on low and increase the speed if needed. Blend until smooth. Divide into four, four ounce jars and refrigerate till you need them. 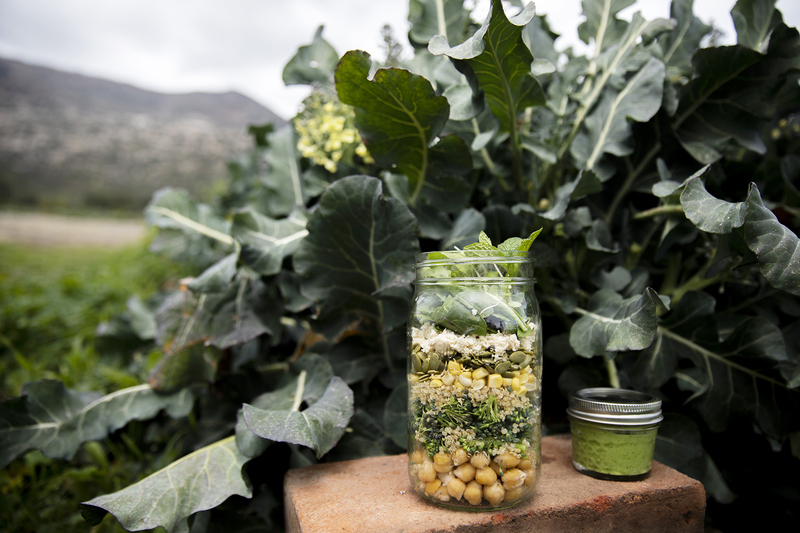 Next, in a 32 ounce mason jar, throw in chickpeas to make a nice layer about an inch deep, then a thick layer of broccoli two to three small crowns deep, approximately ¼ cup of cooked quinoa, a hard-boiled egg, corn, pumpkin seeds, shredded Parmesan and spinach. 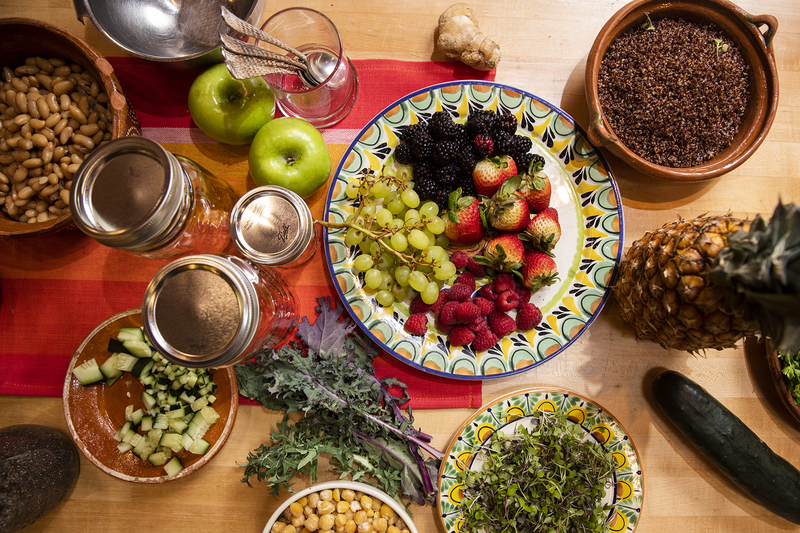 You can experiment with how much of each ingredient to use to suit your taste. Makes 24 ounces or six servings. 1 tablespoon fresh ginger if you like the bite of ginger; pickled ginger often tastes sweet. Once blended the carrots will stay in little chunks adding a fine texture. Since this dressing is oil and vinegar based there will be separation. It’s probably best to divide this up into six, four ounce jars and shake well before serving on top of your delicious salad. In a 32 ounce jar layer in cubed pineapple chunks about two deep, a handful of blueberries, cucumber, a sprinkling of diced ginger, ¼ cup cooked quinoa, about a thumbs thickness of tender fennel fronds, ½ a green apple, and a thin bed of sprouts to support a healthy handful of kale. See more scrumptous salad recipes from The Ranch.